We, Window Techs India Private Limited from 1993 are one of the famous manufacturers, exporters, wholesalers, retailers, traders, and importers an extensive array of Curtains and Blind. Our offered range consists of best grade Blinds, Hospital Curtains, and Insulated Glass Blind. All offered products are designed using quality tested material. 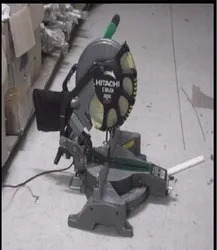 Also, the provided products are appreciated by our customers for their longer life, compact design, easy to use and maintain, high in utility value and lightweight. Our work area is equipped with robust infrastructure facilities that make sure that the entire process of production is carried on smoothly. In addition to this, we are well-equipped with all the facilities that help us in producing quality products in less time. Apart from this, our wide knowledge and experience have assisted us in designing a wide collection of the curtains and blind. With the help of our dedicated team members, we are capable to fulfill the diverse requirements of the market and require lower time to market our product range. Our mentor Mr Vishal Khandelwal has guided us to be able to reach such heights. His ability to understand ongoing market trends, managerial skills and ability to make good decisions, has been our most valuable asset to grow rapidly. We are aided by a fully-integrated infrastructure facility. This enables us to manufacture high-quality products in bulk quantity. 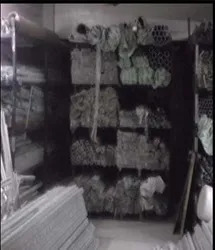 Moreover, this also facilitates quality testing units of the manufactured curtains and blind, to make sure that these meet the industry quality standards. 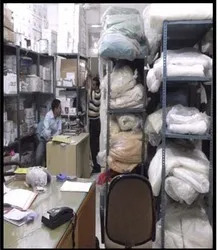 To ensure that all the processes run fluently and smoothly, we have divided our spacious infrastructure into departments such as manufacturing, logistics, quality control and R & D.
Our mission is to provide premium quality curtains and blind to our clients. The strict quality control policy is maintained by our quality control unit for eliminating the flaws from the product array. Being a customer-oriented organization, we ensure to attain complete customer satisfaction by providing elevated quality product range. Due to our esteemed business policies, and timely delivery, we have garnered a huge client base. Empowered with a team of highly skilled professionals, we have been successful in holding a good share of the market due to the quality of our provided curtains and blind. In addition to this, the proficiency of all our teams and their business endeavors help us in bringing out a range of excellent quality products.